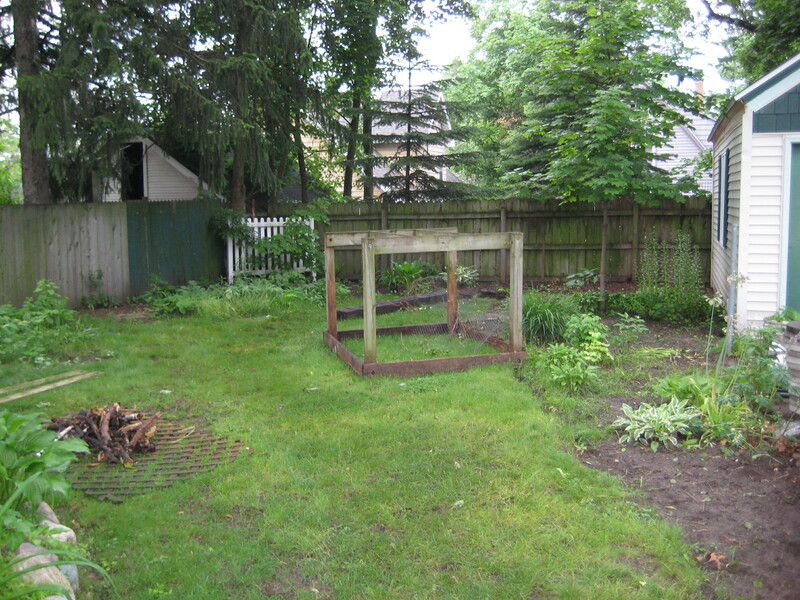 Our backyard has been the thorn in my side since we purchased our house over four years ago. I should have known what I was getting into when a colleague, looking at the photos of our recently purchased home, said “Oh wow, that’s a lot of plants, you must have a green thumb!” Uh, no…I do NOT. 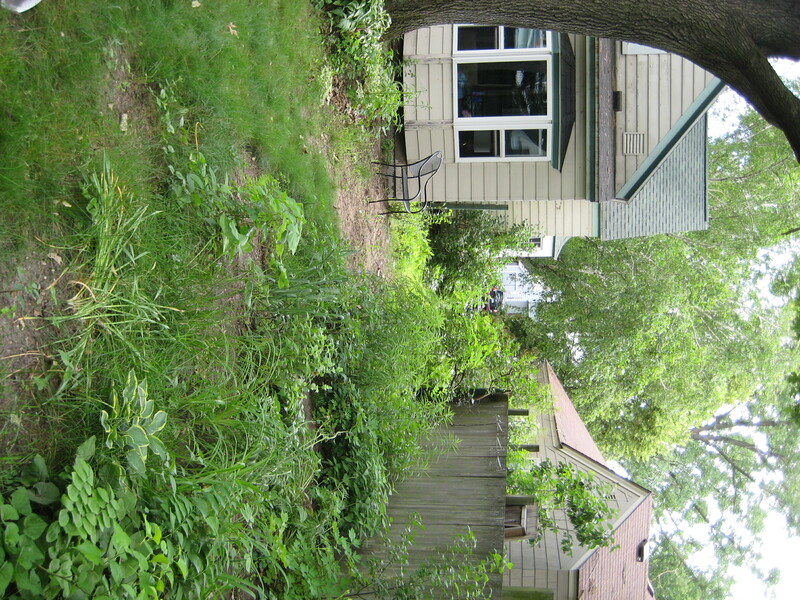 At one point in our home’s life, an owner had decided to plant perennials in almost 2/3 of the small yard. Now, mind you, I do enjoy looking at a well maintained garden even if I cannot grow it myself. But this had not been planned out. More of a “Hey, I like this bulb! Let’s buy three and plant them randomly in the middle of the yard!” And then doing that every weekend. Forever. On top of this, we have an ENORMOUS oak tree in our backyard. So large that even the guys who came out to trim it were impressed. They see trees every day. For their job. And they couldn’t believe how large it was. So, raking thousand of oak leaves through hundreds of perennials each fall put me in quite the chipper mood! What I’ve really wanted is a space to host friends, neighbors and family with grilling parties, dining alfresco with warm candles and lights for late night cocktails. So, a few summers ago, I had enough! If the plant wasn’t in bloom, out it came! Few more plants along the fence, please! Mr. Lemon seeding grass after hours and hours of ripping up plants! Yea grass! Since this large “clean up” project, I’m sad to say that we haven’t made much progress in the backyard because other areas have taken priority. But, I’ve been dreaming of a space to entertain – a patio or deck for our outdoor dining set and a seating area around our fire pit. And we decided that this summer, it’s finally going to happen. Oh happy day! Right now, Mr. Lemon is out picking up the supplies to make these privacy panels for the side of our yard, along the driveway. 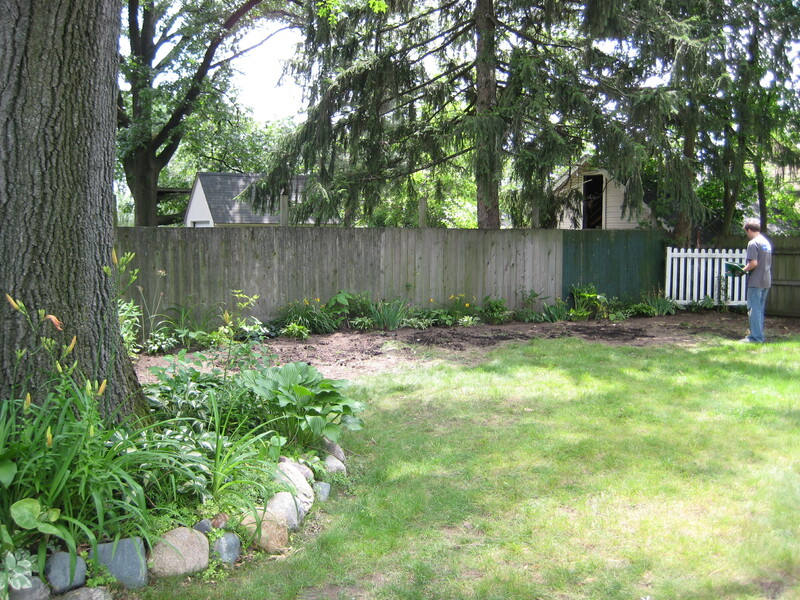 We decided that this project would be Step #1 in our backyard makeover toward the entertaining space we’ve been wanting. I can’t wait! I hope some of you are able to enjoy your backyards this weekend! ***Update – check out the before and after of our panels here! This entry was posted in It's My life and tagged outdoor entertaining. Bookmark the permalink. And actually, it’s a darn good thing there are no photos of our window boxes! They look horrible!